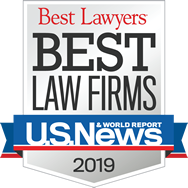 Since 1919, businesses seeking to prevail on their insurance claims or defend against third-party claims have looked to Strassburger McKenna Gutnick & Gefsky for thorough and cost-effective legal advice and representation. The firm represents not just the insured but agents, brokers, and carriers across a wide range of matters, including pursuing primary and excess coverage, and defending claims under general liability, employer liability, and specialty line insurance policies. Whether your entity’s insurance claim is related to inclement weather, an industrial accident, or the failure of a counter-party to deliver in whole or on time, the attorneys at SMGG recognize that prompt resolution is key to minimizing the event’s effect on operations and budgets. We bring comprehensive and in-depth understanding of first- and third-party insurance coverage analysis, issues, and disputes. We help companies analyze insurance policies and contracts, investigate claims, render coverage opinions, challenge coverage determinations and litigate where necessary, including prosecuting and defending actions for declaratory relief. Hallmarks of our insurance defense practice include proficiency in prevailing federal and state insurance law and targeted, cost-effective litigation. We are mindful of the many costs—financial and otherwise—that can be encountered when defending against frivolous claims, and work hand-in-hand with in-house counsel to triage cases and ensure expenditure guidelines are realistic and honored. When it comes to insurance policy coverage challenges and defending against frivolous insurance claims, it pays to retain a law firm with seasoned attorneys who are effective litigators, current on prevailing law, and keenly respectful of the bottom line. The attorneys at Strassburger McKenna Gutnick & Gefsky assume as much responsibility and initiative as you require so your entity can focus on its primary missions. Contact Harry F. Kunselman at hkunselman@smgglaw.com or Gretchen E. Moore at gmoore@smgglaw.com to arrange a consultation.